RedBalloon parent company, Big Red Group (BRG), says its acquisition of extreme and adventure experiences aggregator, Adrenaline.com.au, will make it the third-largest experiences provider globally. 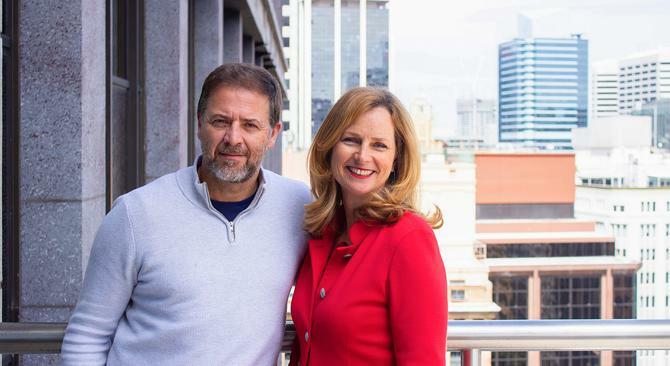 And according to its co-founder and spokesperson, Naomi Simson, the acquisition is just the start of its plans to ensure Australian businesses successfully get a piece of the experiences pie against global competitors. The group announced Adrenaline, an Australian-based online business, as the first of many purchases the BRG group is planning to make locally and internationally to build out its marketplace of brands. The purchase price was not disclosed. BRG was launched as an umbrella group in July last year as part of a restructure of RedBalloon aimed at expanding its range of management, marketing, HR and corporate services to fellow Australian small businesses. It’s majority owned by Simson and group CEO, David Anderson, who initially joined CEO of Redii in 2014. Simson said Adrenaline delivers an extended audience set to RedBalloon, while also complementing its B2B reward and recognition brand, Redii.com. Simson told CMO the crossover on customers between the two brands was expected to be under 10 per cent. “We all believe in shifting the way people experience life and Adrenaline complements us greatly – it’s a business that’s been delivering extreme sports, adventure activities and small team events for years, delivering to more than 1 million customers,” Simson said in a video statement. The Adrenaline team has moved into BRG’s Sydney head office and is being overseen by GM, Julia Wilson, who is also in charge of BRG’s Marketics business. It will, however, remain a standalone brand leveraging the bigger group’s service, marketing and technology capabilities. Combined, the acquisition makes BRG the third-largest gifting company globally, Simson claimed. BRG works with 3000 mostly small businesses and experience supply partners across Australia and New Zealand, providing 7000 experiences across the two countries and chalking up annual group website traffic of 10 million views. Adrenaline was founded as an extreme sports club back in 1999 and purchased in 2008 by Internet entrepreneurs, David Jellins and Amelia Jones, after going into administration. It claims to offer more than 2500 experiences globally through incentives and rewards, promotional prizing, team building and corporate events and gifts. While Jellins and Jones officially now exit the business, all 18 of Adrenaline’s staff were offered jobs at BRG, bringing its total headcount to more than 100 employees. BRG also has its eye on a number of other local and international brands to join its stable, a move Simson said was vital if Australian organisations were to keep a foothold in the maturing experiences marketplace. To do this, Simson said BRG has been working on its technology stack, making sizable investments into infrastructure to build a globally scalable platform. “It’s an investment justified by the economies of scale achieved in serving different audiences from the one system,” she said. One technology investment came as the result of RedBalloon’s master reseller agreement for the Albert AI artificial intelligence technology struck mid-last year. Albert is the flagship platform and also corporate name for the technology vendor formerly known as Adgorithms, a company created in 2010. BRG rolled out the technology across its own business last year, a move the company claimed saw cost per acquisition rapidly decrease while lifting revenue by 365 per cent within months. The other piece of the technology puzzle is a 15-month phased rollover of the RedBalloon business to Salesforce’s complete cloud stack, starting with Service Cloud, then Marketing Cloud, Sales Cloud, Social Studio and Community Cloud. Simson confirmed to CMO the last component, Commerce Cloud, was rolled out last week. “What this means is we have a truly digital and integrated approach to our go-to-market strategy,” she said. “We are surrounding the customer. Already, we’re pleased with results. Simson anticipated the Adrenaline business would be replatformed in the New Year and it will again take a phased approach, rolling out features and benefits one at a time and taking a methodical approach to minimise disruption to customers. Over the next year, BRG is aiming to serve more than 500,000 experiences and has set itself the even more ambition target of serving an experience a second by 2025. Simson said the driving force remains “changing the way people experience life”. This was also the reason she gave for BRG’s decision to shut down the Wrapped business in July after acquiring it last year.